Sorcerer - White Magic. Vinyl LP. Bleep. Here we have the first ever vinyl pressing of Sorcerer’s 2007 debut LP. 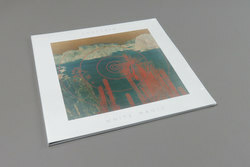 White Magic is a wonderful bit of oddball pop that comes back into our lives just in time for summer. The album was released around the same time that Chillwave was beginning to come into play, and there is a nice breezy vibe to many of the tracks that recall the likes of Toro Y Moi. However, this record is more diverse than many of the more acclaimed Chillwave full-lengths. We’re talking a rich and varied LP that takes in in Balearic house, nu-disco, future r ‘n’ b and more. Frank Ocean might have been listening the first time around.